It being the centenary of the Battle of the Somme I decided to read up a bit more about it - "Elegy" (£5 for Kindle version) looked promising, I had previously read "Napoleon and Wellington: The Long Duel" by Roberts and enjoyed it very much. 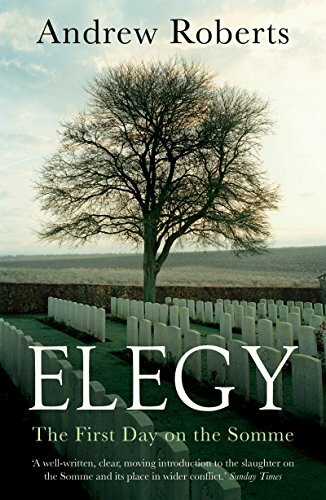 "Elegy" is a good account of the events leading up to and after the first day of the battle. The British had their worst ever day with 19,240 men killed in 24 hours (many of these were Irish). The tragedy of this day is emphasized throughout the book with lots of numbers, eg "We came out of action with 4 officers out of 26 and 435 men out of 1,150" (page 185). The reader is left in no doubt about the scale of the disaster and the failure of the 7 day bombardment before the 1st July battle to dislodge the well dug in Germans. There are stories of sacrifice and bravery, plus savage injuries and death. General Douglas Haig, commander of the British army, comes out of the book quite well. I'm sure I am not alone in thinking that he was a brainless idiot who sent thousands to their deaths for nothing. Andrew Roberts recognizes some if his mistakes, but also poor communication and lack of resources. 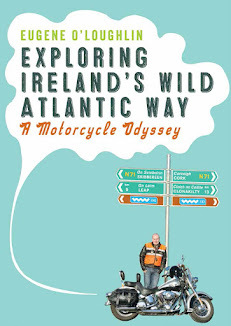 The book is more than just about the first day - as it is quite a short book (292 pages), a lot is devoted to the build up, aftermath, and legacy of 1st July 1916. So as a history of the first day it is not too detailed, and it presents the story in a sympathetic and interesting way. Recommended - worth reading, especially for those who know little about this battle and its bloodiest day.